To assign an ISBN or not to assign an ISBN? That is the question for many authors who are new to self-publishing. 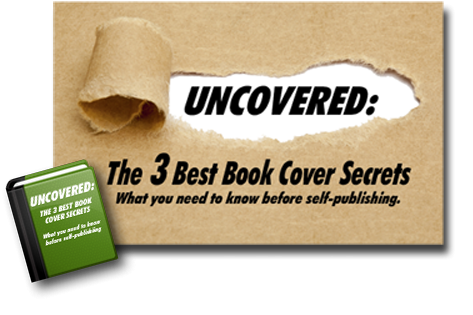 While the debate continues about the need for an ISBN when self-publishing a book—especially an electronic edition—it’s important that authors who are considering selling their self-published books know the basics. An ISBN (International Standard Book Number) is a number that uniquely identifies and tracks the sales of a book, especially for libraries, bookstores, and distributors. Each format/edition of the book—e-book, paperback, hardcover—is assigned a different ISBN. A group or country identifier: This part of the number identifies the geographic publisher grouping of which a particular book’s publisher is a part. A publisher identifier: This identifies the particular publisher within that larger grouping. A title identifier: This identifies the book’s title or edition of that title. A check digit: This is the final digit, the purpose of which is to validate the ISBN. Do self-published books need an ISBN? If you are publishing your book strictly for private distribution to family and friends, no ISBN is necessary. However, all print books intended to be sold through retail channels require an ISBN. You do not need an ISBN if you are only publishing your book as an e-book, since e-publishers will assign their own tracking number to the book. 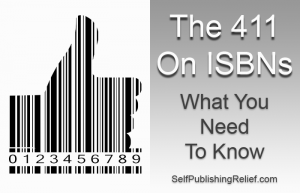 But at Self-Publishing Relief, we recommend that you DO purchase ISBNs for both your print and e-book versions. Why assign the print and e-book versions each its own ISBN? Having an ISBN allows you to list your book in Bowker’s Books in Print, which will make it rank higher in Internet and Google search results. An ISBN also makes tracking all your book sales easier and helps guarantee that you receive all of your royalty payments. What if you don’t have an ISBN? If you do not assign an ISBN to the print edition of your book, you will be able to give it away, but you will only be able to sell it via your own website. In addition, your book will be harder to find in Internet searches. If you are looking for a wider distribution and better search results, you should purchase an ISBN. Where do I get an ISBN? There are more than 150 ISBN-issuing agencies worldwide, so the process for procuring and assigning these numbers varies by country or geographical region. For the United States and its territories, R. R. Bowker is the sole issuing agency, although Bowker does authorize a few other companies to act as resellers. But beware! Unfortunately, there are unscrupulous, unauthorized ISBN resellers lurking out there! How much do ISBNs cost? The price for a single ISBN from Bowker is $125. However, if you plan to publish your book in more than one format, or expect to write and sell more than one book, it is more cost-effective to buy the ten-pack for $295 ($29.50 each). 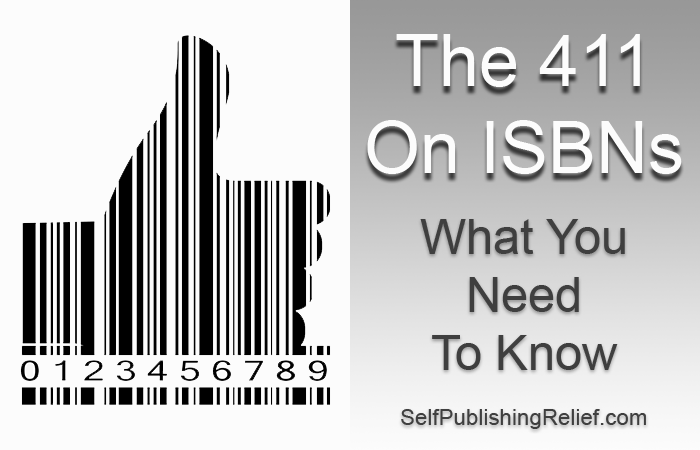 ISBNs never expire, so go ahead and take advantage of this major price break. Pro tip: Bowker frequently runs sales, on ISBNs—watch for the next sale, and make your purchase then! QUESTION: Do you think it’s important for a self-published book to have an ISBN? yes, An ISBN is very very important in publishing. This article is missing a significant factor. When self-publishing on Amazon, CreateSpace auto issues ISBNs so please don’t go and waste all of that money on buying ISBN packs. Yes, CreateSpace does give you the option to get a free ISBN if you don’t mind having CreateSpace Independent Publishing Platform as your publisher imprint. If you want your own name or imprint name listed, you have to buy your own ISBN. This is excellent. I wodner what the success stats have been for those writers who have made submissions? But this is invaluable and seems worth the investment. Thanksrosie recently posted..